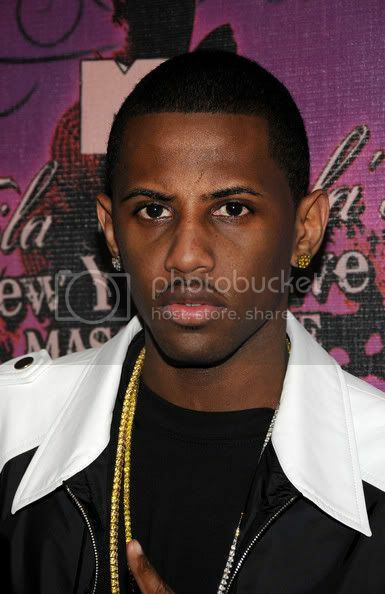 Fabolous showed up at the hot Eros World Tapas Bar in Atlanta on Saturday with an entourage of more than 20, a source said. They requested “the usual excess of champagne and alcohol, so the manager asked for a credit card to start a tab.” Unfortunately, Fabolous’ credit cards were all declined. “By the fifth credit card, the entourage member designated to take care of his tab goes outside,” our source said, “only to start a fight with the outside bouncer. He tripped and fell, hitting his head on the concrete and started bleeding. The manager called an ambulance. But as soon as the entourage member also saw the police, he began running away, blood oozing down his face.” Fabolous and his posse stayed and ordered champagne but paid cash. Reps for the restaurant and the rapper declined to comment.